‘There was something about the whale’s eye that drew me in, connected with me and inspired me,’ says Kim Bassos-Hull. ‘I was on a high school outing to watch whales off Provincetown, Massachusetts, when I had a up-close encounter with a spy-hopping right whale. Then and there I decided to study the fascinating creatures of the sea that we only glimpse before they slip back into their watery world. ‘This decision led me to the University of California at Santa Cruz (UCSC) in 1986, where I obtained my BSc and MSc degrees. Through research opportunities at UCSC I was introduced to Hawaiian spinner dolphins, northern elephant seals and a bounty of marine wildlife in nearby Monterey Bay. I was also able to interact with two lab-bound bottlenose dolphins, Echo and Misha, and eventually return them to Florida and reintroduce them to the wild. At the same time I became a research biologist at Mote Marine Laboratory in Sarasota, Florida, and met my husband, Captain Peter Hull. 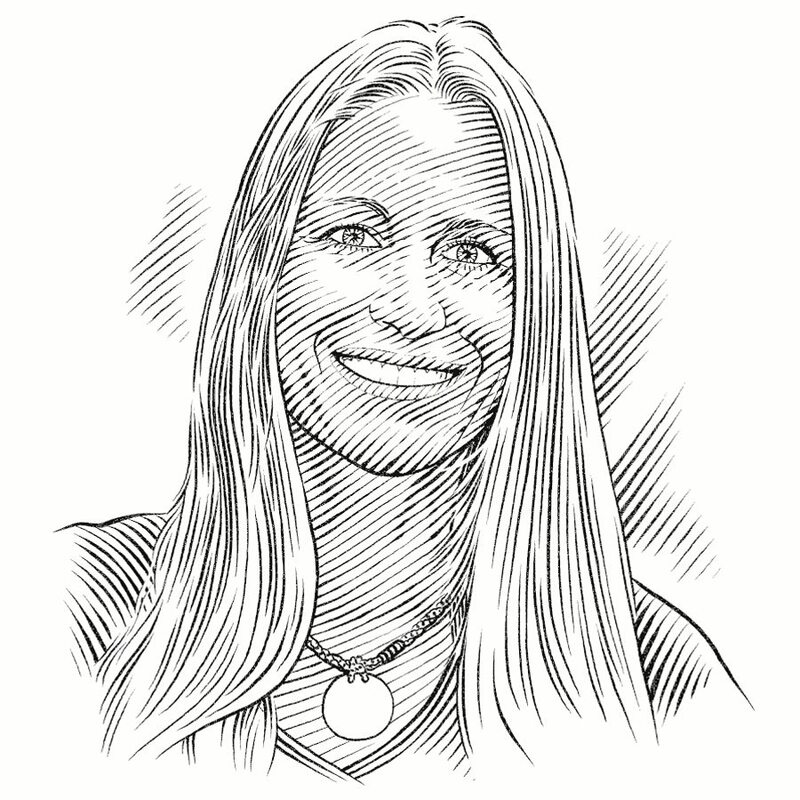 ‘The year 2009 was pivotal for me: I started a kayak and paddleboard tour company and, with my husband, a research project on spotted eagle rays. Targeted by fisheries in some countries, the spotted eagle ray is a species we know very little about. We are lucky to see these graceful, beautiful fish in our coastal waters as they glide over sand shoals and sea-grass flats, sometimes leaping high into the air. Our conservation project on the spotted eagle ray Aetobatus narinari is providing much-needed information about its life history, abundance, behaviour, population structure and critical habitat in the Gulf of Mexico and western Caribbean Sea, as well as about the impacts of fisheries on the species. In some parts of the world, including Mexico and Cuba, these rays are targeted by fisheries or taken as by-catch. We at Mote are working with academic institutions in Mexico (ECOSUR) and Cuba (University of Havana), bringing students from both nations to our field site in Florida and collaborating in all three countries to study and protect this ray. Our public outreach and education programme engages students on several levels, using exhibits on spotted eagle ray conservation, video productions, teacher training and media interviews. The spotted eagle ray’s extremely low fecundity (one to four pups per litter) and vulnerability to fisheries have led to an IUCN listing as Near Threatened with a decreasing population trend. We are filling the gaps in research data needed to protect the species and build international bridges for its conservation. Our work involves aerial, on-water and fisheries surveys, tag-and-release in the wild, international exchanges and training, and public outreach and education. We are discovering, among other things: fluctuations in the spotted eagle ray’s seasonal and annual abundance; growth rates and size at maturity; reproductive biology, including mating and pupping; genetic stock structure; and fisheries characteristics and landings. Our project addresses urgent concerns about the ray’s biology and status in the Gulf of Mexico and Caribbean Sea and serves as a model for collaborative study and protection of this and related species worldwide. Kim and Robert are creating a portrait of the spotted eagle ray in the United States, Mexico and Cuba. Their work is providing important insights into protecting these graceful creatures across international boundaries.